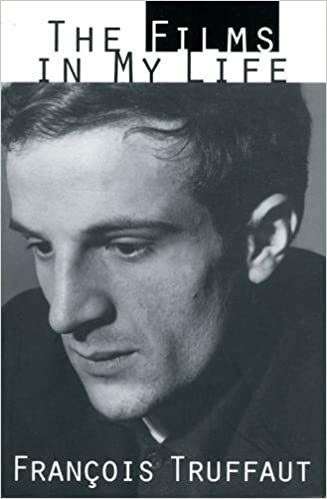 The revered French filmmaker, who would have been eighty-six this year, is the subject of numerous books that cover his life and work, and we are lucky that Truffaut was also a prolific critic who wrote scores of essays. 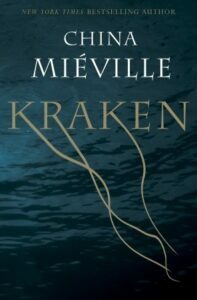 One of the founders of the French new wave, he broke cinematic ground with personal films like The 400 Blows, Jules and Jim, Stolen Kisses, Day for Night, and The Story of Adele H. He remained throughout his life a dedicated moviegoer and a clear-headed voice about what made a movie great. Truffaut understood the spectrum of filmmaking as few directors have, as an auteur, but as an actor, too, who played the central role in Steven Spielberg’s 1978 film, Close Encounters of the Third Kind. The Films in My Life, first published in 1975, contains essays that encompass the history of film and the directors who served as Truffaut’s teachers and inspiration: Hitchcock, Welles, Chaplin, Renoir, Cocteau, Bergman, and Buñuel. When Walt Disney bestowed human speech and reactions on animals, he cheated the animals and the human beings as well…Le Ballon Rouge pushes transference to its ultimate. 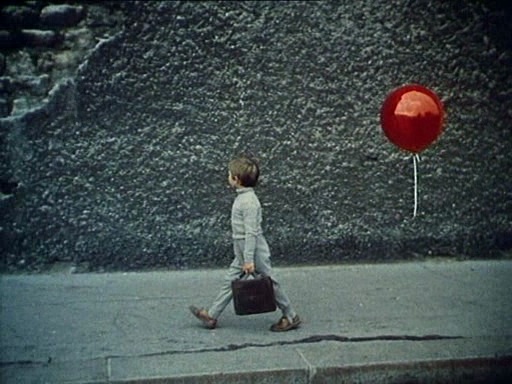 The red balloon that willingly follows the little boy acts like a puppy that acts like a human being. This is Walt Disney to the nth degree. What is wrong with this pretense is precisely that it is artificial, and it sinks deeper into the conceit as the film goes on. There are Bergman “periods.” The present period is more physical than metaphysical. The strange title Cries and Whispers stays with you as you come away from watching the film, having been cried to and whispered to. The discipline of film has its own rules, which have not yet been fully explored, and it is only through works such as those of Buñuel and the other great director-writers that we will one day realize them fully. Meanwhile, if your French is not too rusty, check out this undated (circa 1960), untranslated interview with Truffaut, here.